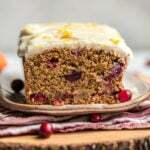 This Cranberry Orange Bread is fluffy, flavorful, and a perfect holiday treat! Plus it’s Vegan, Gluten-Free, and made with only 11 healthy ingredients. 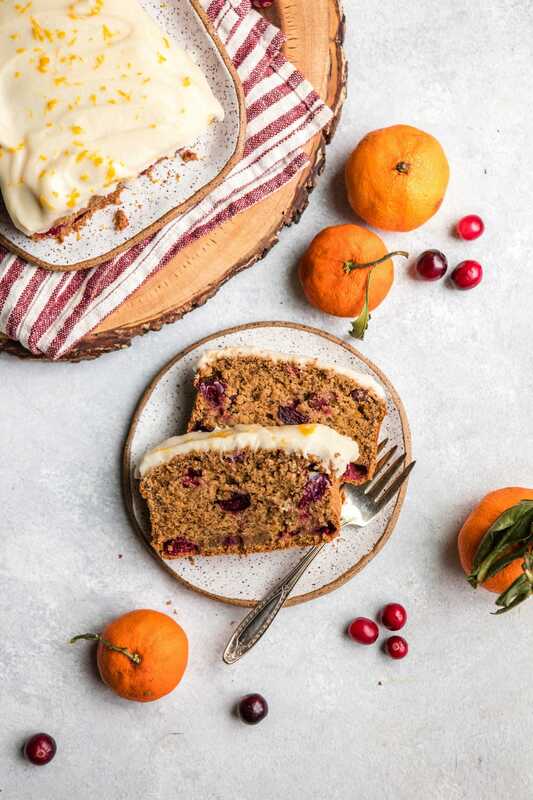 When you’re craving something sweet, but aren’t feeling the Chocolate vibes, this Cranberry Orange bread is perfect for you! 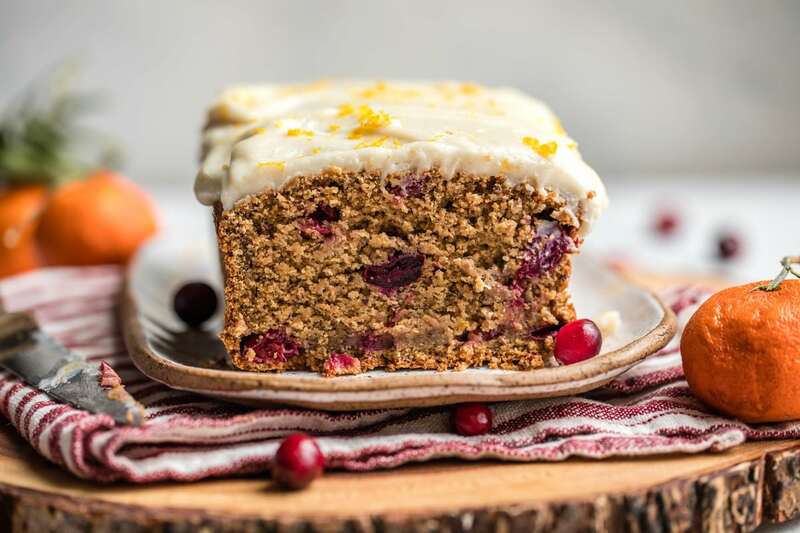 It’s fluffy, hearty, and loaded with Cran-Orange flavor for a perfect holiday treat. Plus, it’s made with only 11 plant-based and healthy ingredients! I don’t know about you guys, but I’m a huge fan of sweet breads. They’re perfect for a quick morning breakfast, but also perfectly satisfying as an afternoon or post-dinner snack. 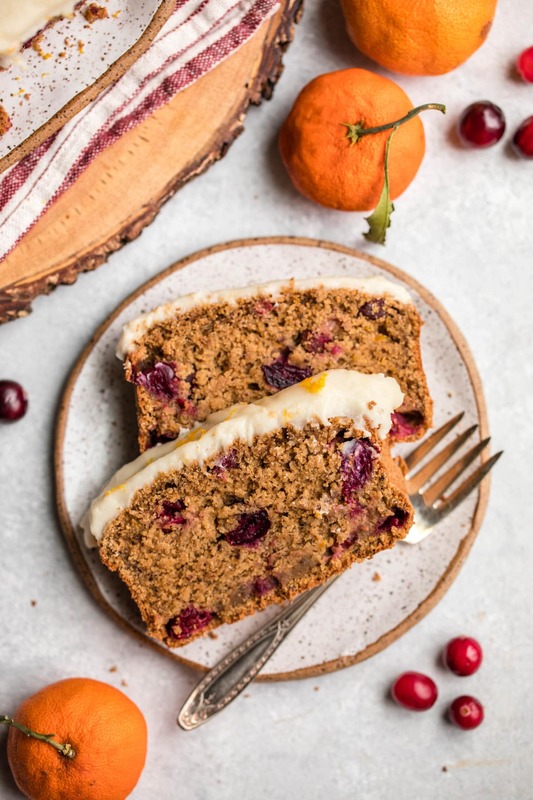 This Cranberry Orange bread tastes yummy enough to have for dessert, but is made from wholesome ingredients like Oat Flour, Coconut Milk, and Coconut Sugar! 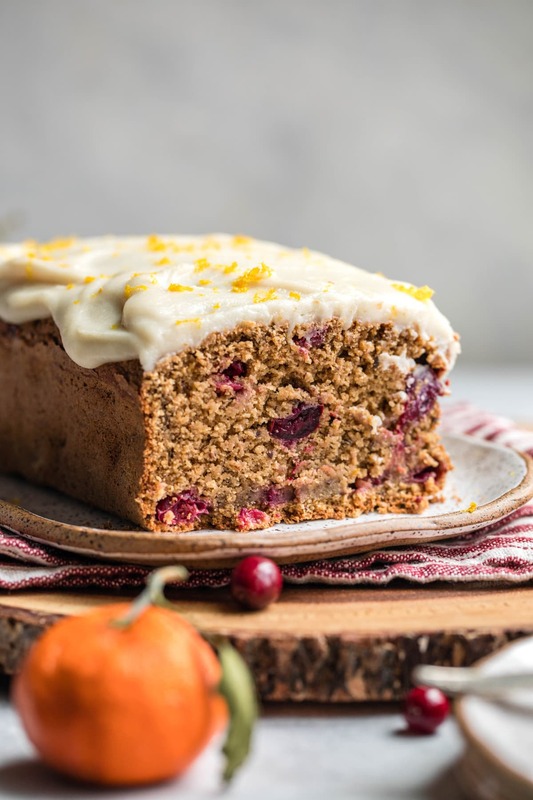 This Cranberry Orange loaf is a twist on my childhood favorite – it’s still light and flavorful, but it’s also Dairy-Free, Gluten-Free, and Refined Sugar-Free. I also decided to make this bread a little less sweet than the traditional dessert, simply based on personal preference. It’ll still satisfy your sweet tooth though, especially after you add the glaze on top! I opted to create a “healthier” glaze for this Cranberry Orange Bread by mixing some Coconut Butter, Maple Syrup, and Orange Zest together. However, you can also make a traditional glaze using Icing Sugar and Almond Milk! 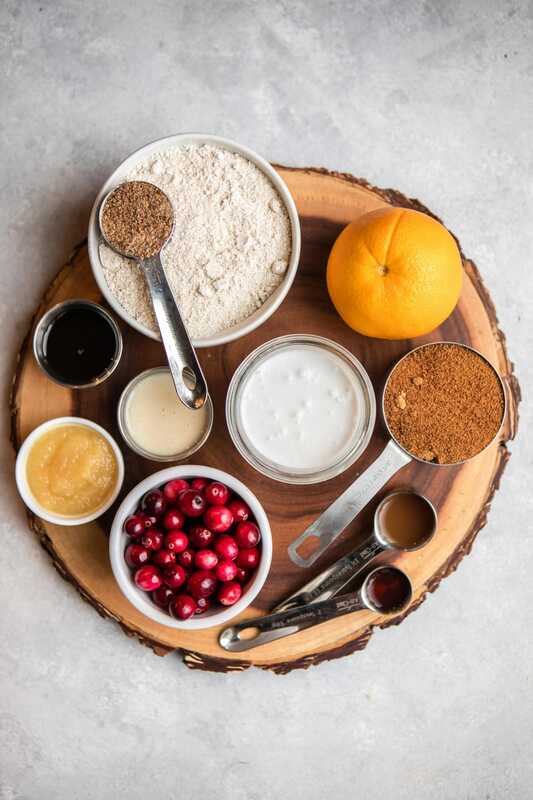 Pro-Tip: set aside 1 tbsp of Oat Flour, and toss your Cranberries in it before folding them into the batter. This prevents them from “falling” to the bottom of the bread, and also from excess moisture leaking into the loaf. 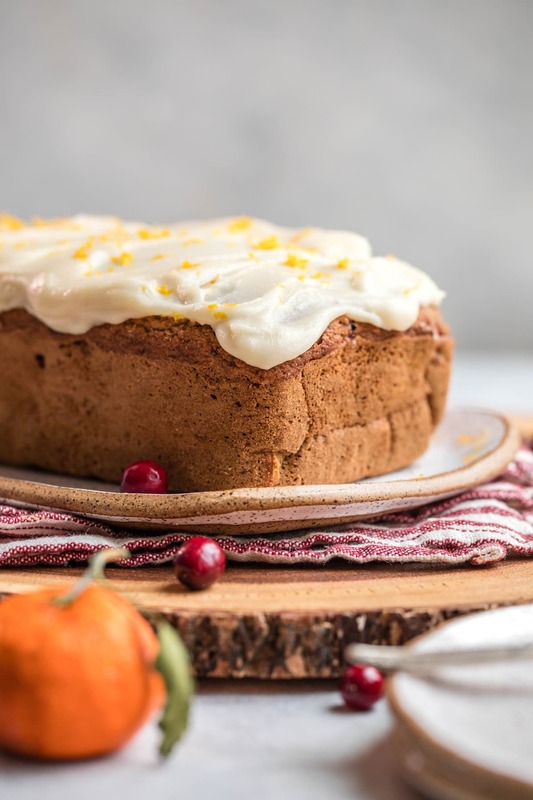 If you’re looking for more Vegan Bread recipes, you’ll also love this Fluffy Vegan Banana Bread and this Vegan Pumpkin Bread! Preheat the oven to 350F. Mix the Ground Flax with Water in a small bowl, and set aside to let thicken for 5 minutes. Once thickened, add in the Coconut Milk, Vanilla, Coconut Sugar, Applesauce, ACV, and Orange Zest, whisking until well-combined. Toss the Fresh Cranberries in 1 tbsp of Oat Flour, then set aside. Add the Oat Flour, Baking Powder, Baking Soda, and Salt to a separate, larger bowl and whisk well. Pour the wet ingredients into the center of the bowl. Once there are no more clumps, fold in the Cranberries. Pour the batter into a greased or lined 8×3″ loaf pan, and bake in the middle rack of the oven for 45-47 minutes, or until a toothpick comes cleanly out of the center. Remove from the pan immediately and transfer to a baking rack to cool completely. To make the optional glaze, whisk the Melted Coconut Butter, Maple Syrup, Vanilla, and Orange Zest together. The mixture will thicken up while you are whisking; “thin” it out by slowly adding Warm Water to the bowl until the icing reaches your desired consistency. Spread it over the bread, and top with Orange Zest! The “glaze” will harden as it cools. I do not recommend substituting the Full-Fat Coconut Milk in this recipe, as you need the fat + thickness from the Milk in order to help the bread rise. If you have an allergy, I would suggest using Soy Milk or a really creamy Nut Milk instead. I would suggest topping your bread with the Glaze immediately before serving, and storing any Bread leftovers in the fridge afterwards to prevent spoiling. Could you please tell me what kind of flour did you use for this recipe. I see three cups of oats added to flour. 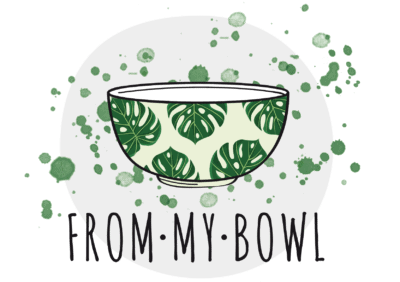 I used Oat Flour – simply blend oats in your blender until they form a fine flour! can i substitute the oat flour with almond or buckwheat flour?? Buckwheat flour might work, but I haven’t tested it so cannot guarantee that. Yes, it comes in a can! Do you think I could sub maple syrup for the coconut sugar? If I can’t sub the entire thing, then like 1/2 cup syrup and 1/4 cup sugar? It looks absolutely delicious! I’m going to make it for my Christmas dinner as a desert. But, do you think I can substitute coconut butter with cashew butter? Is it going to “hold on” as well as coconut butter and not dry out as quickly? Thank you! Unfortunately Cashew Butter doesn’t melt, so you would need to thin it out with a LOT more water, and I think it would make the bread too soggy. I’d suggest using a standard icing sugar + plant milk frosting instead! Yes, I recommend using Soy Milk for this recipe. The recipe is already oil free, so I don’t understand your second comment! Can you sub all purpose flour in this recipe? Thank you! I just baked it today. It turned amaazing. The sourness from the cranberries and the sweetness of the mixture is just epic. Thank you for such an yummy dessert. (Just if there was an attachment option so I can share my experience. What is coconut butter? All I found was coconut oil plant based butter and it didn’t work.